Weebly Pricing 2019: Which Pricing Option Should I Pick? Weebly Connect, Starter, Pro, Business or Business Plan: Which plan should I choose? Not sure which Weebly premium option is best for you? This article will help you learn more about the Weebly pricing tiers of the website builder. We’ll also discuss in which cases the free option is sufficient. Weebly Pricing – What’s the deal? 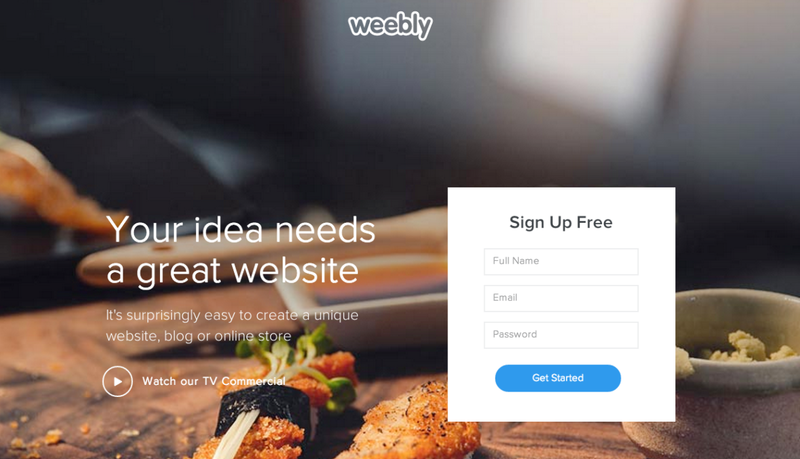 Weebly’s prices start at $8 monthly for the Starter plan. It’s ad-free and includes a domain name for 1 year. Pro costs $12 a month and adds video and membership features. The Business tier (for small online stores) is $25 monthly. Finally, Weebly Business Plus (for larger stores) costs $38. Please note that the Connect and Starter plans are currently not being advertised on Weebly’s website and will only be visible after signing up for a free Weebly account. The Connect plan is not available to all Weebly customers. You can use an existing domain name for free or purchase one through Weebly. They include a free domain name the first year; they renew at $19.95 yearly in all pricing tiers. See our text below for more information. SSL (https) SSL certificate for your entire website included. Email accounts Weebly offers email accounts through G Suite, which costs $45 yearly per user. * The Starter plan is not available in the US anymore and probably will also disappear for the rest of the world soon. First things first: the Free and Connect plans show a Weebly ad. To get rid of this small (yet visible) Weebly advertisement you have to upgrade to Starter at least. There you’ll also get a free domain name for 1 year. At the time of writing it was also possible to add a domain name to Weebly Free but only if you buy it directly from Weebly. Essentially it’s the same as the Weebly Connect plan with the only difference that Connect also lets you use a domain name that you’ve purchased externally. Good to know: the free standard domain is a Weebly sub-domain (yourname.weebly.com), which doesn’t look very professional. A more advanced option is the Weebly Pro Plan: compared to the Starter Plan you will have a few nice extra features. A search function for your website and the HD video and audio players give your website a more professional touch. In addition, there are not only password-protected areas that you can set up to share exclusive content but it’s even possible to add up to 100 members to your site through the membership feature. You decide who gets to see what content. A tip for store builders: We wouldn’t really recommend Starter or Pro to create an online store as it lacks the shipping & tax calculator, which is very important for most store owners. The Business Plan is the right choice for your up and coming e-commerce empire. Not only will it allow to sell physical and digital goods, but you can also hand out coupon codes to your visitors. There’s integrated inventory tracking and a shipping and tax calculator. The ultimate eCommerce experience that Weebly provides is their Business Plus Plan. It empowers your shopping cart with real-time shipping rates and gift cards. Another interesting feature are the abandoned cart emails. Sometimes customers will leave your shop without buying. However, if they are already registered, you can send them a reminder. Make sure you also check out our review of Weebly’s online store. You’ll only need the Weebly Business Plan or higher if your goal is to open an e-commerce store or a membership site for more than 100 members. For a freelance or small business site, you’ll be fine with either the Pro or Starter Plan. Keep in mind that there are significant discounts of up to 33% if you purchase a subscription spanning over 1 or 2 years. Weebly allows you to purchase your domain name (e.g. .com, .net, .co.uk and many more) directly through their dashboard. With any paid plan it’s free for the first year and renews at $19.95 per year. Domain privacy is also available. The alternative to this is to go through an external domain registrar that also includes email hosting (e.g. Namecheap). This can save you quite some money and allows you to pick other domain name endings. Alternatively, you can check out other website builders: Jimdo, for example, has a more affordable integrated solution for email accounts. And please remember: you can always upgrade to a higher pricing tier later. Existing payments will be credited to your new purchase. Weebly now also offers an easy way to send newsletters, very similar to the drag and drop website builder. It’s not the cheapest option for email marketing but certainly a very convenient one if you are already a Weebly user. While Promote is an okay way to get started you should also take a look at our overview of professional newsletter services. These offer not only better prices but also more advanced features (autoresponders, double opt-in registration, reporting etc.). We hope that you found our analysis of Weebly’s pricing helpful! Can site members also add content to my website? No, as currently they can only view the areas of your content that you unlocked for them. But there is also the editors function (see next question). Weebly allows you to add editors with different access levels. Editors are able to add content to your website. Currently there is Admin, Author and Dashboard-only access. How many sites can I build with Weebly? You can manage up to 10 websites with one account. However, you’ll have to pay for each premium website (as long as it’s not a free website, of course). Contact Weebly for bulk discounts. Does Weebly have a money back guarantee for their paid plans? Yes, Weebly will refund your money if you cancel your subscription within 30 days after registering. They also offer a free plan which allows you test their tool for free, for as long as you want. Weebly offers 1, 12 and 24-month deals. This means that you’ll be required to pay upfront for the duration of the respective plan in advance. What about Weebly's competitors? Are they cheaper? For what they offer, Weebly has fair prices. However, some competitors have lower rates. Check out our ranking table for detailed pricing information of Wix, Squarespace, Jimdo, Duda, Webnode and many others. One.com is a very affordable alternative if you only need a small, basic website with a proper domain name. If you prefer to not pay at all for your website, you can also check out our list of free website builders.